Getting Naked (2010) is about vulnerability and the incredible power it holds. These blinks explain how to build trust with clients and overcome the three most common fears that prevent you from showing your true vulnerability. Patrick Lencioni is founder and president of The Table Group, helping organizations optimize teamwork and engagement. Besides consulting and public speaking, he’s written bestsellers including Five Dysfunctions of a Team. 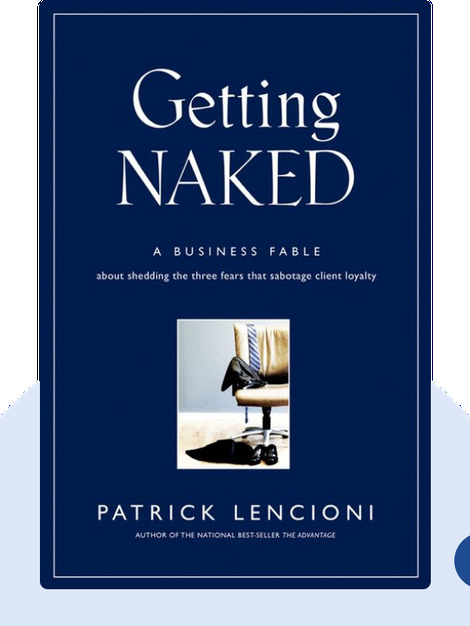 © Patrick Lencioni: Getting Naked copyright 2007, John Wiley & Sons Inc. Used by permission of John Wiley & Sons Inc. and shall not be made available to any unauthorized third parties.